In Austin, if you go outside, spin around in a circle with your eyes closed, and then throw a rock, there is a good chance that you will hit a yoga studio. Austin loves yoga. And why shouldn’t they? It’s one of the fastest growing group fitness activities in the last decade. Yoga pants are pretty much everywhere. A few of the smart guys have even started following the yoga pants and doing yoga themselves. But which studio should you go to? There are so many different kinds of yoga. There’s hot yoga, really hot yoga, and oh-my-god-I’m-going-to-die-because-it’s-so-hot yoga. Luckily for you, there’s a great chance that there is a yoga studio that fits your ideal class style and budget. 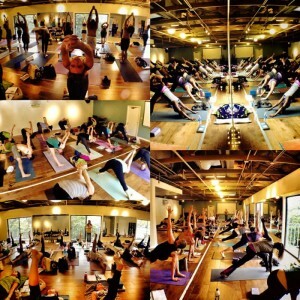 Black Swan Yoga – best overall studio in Austin. Donation-based classes (minimum $8) and beginner-friendly. This place has instructors that give classes relatable to anyone. The classes will make you work up a sweat, but there is also a stress-relief component to them. It’s a healthy balance. Try flow classes for medium-hot classes, and the sweaty class for full-body, comprehensive workout in a hot room. They also have beginner classes if you are just getting back into fitness and want to take it a little slower. With 4 locations in Austin, you’re bound to find a location that works for you. Wanderlust – hardest workout in a medium-hot yoga atmosphere. If you want a class that will leave you sweating, exhausted, and never again questioning the difficulty of yoga, than Wanderlust is good for you. The classes are physically challenging, (there are options for weights), the class attendees take care of themselves pretty well, and it’s in a cool location smack in the middle of downtown. Pure Bikram Austin – hardest workout in a hot atmosphere. This is the oh-my-god-I’m-going-to-die-because-it’s-so-hot yoga that I mentioned. Bikram Yoga is probably the most challenging form of yoga, and it’s because of the heat involved. The room is heated to 105 degrees. It’s the same 26 poses every time, and the teachers pretty much read off of a script, so it isn’t too important who’s teaching (but their instructors are solid anyways). 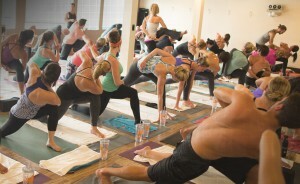 There are four locations in Austin to choose from, and they offer a lot of class times. Make sure to wear deodorant before you go, or you will have some upset neighbors. Core Power Yoga – great space, solid instructors. Core Power is a chain based in Minneapolis, but they are a great yoga studio. All of the instructors that I’ve taken a class from there are great, and the facilities are top notch. This studio does tend to have a bit of nose-in-the-air atmosphere, but if you’ve got a solid yoga practice then you’ll have a good time. There are 3 studios in the Austin area to choose from. They also give out one-week free passes for first timers, so that’s definitely a plus. Yoga Yoga – yoga for stress relief, spirituality, deeper meaning. Yoga Yoga’s focus is on traditional yoga, meaning that it focuses on much more than just the physical parts of yoga. These classes will focus much more on achieving mental stillness and inner peace than a sweat (but you’ll still get that too). There are 5 locations in Austin. I encourage you to test this type of class out at least once. You might enjoy it more than you think. Just keep an open mind. Man Flow Yoga – yoga for physical fitness. Man Flow Yoga (also for women) revolutionizing the way that people see yoga. This is yoga without the spiritual or meditative aspects. It’s yoga postures and exercises fused with a fitness mentality. Class times are all over the place, so you’ll have to consult the schedule online before going. Dean has classes at Zilker, Fit Austin, and Austin Rowing Club. He’s also got a pretty cool thing going on on social media. Check out his YouTube channel or Facebook page for more info. Six places to do yoga, with a style for everyone. My suggestion is to try out as many as possible. Most places will you give you your first class for free, so you can probably bump around from class to class for a month or two and not have to pay anything. You can also use that as an opportunity to figure out which style of yoga and instructor that you prefer. As they say at the end of most classes… namaste. About the Author: Dean first began instructing yoga as the conditioning coach of his lacrosse team in 2011. 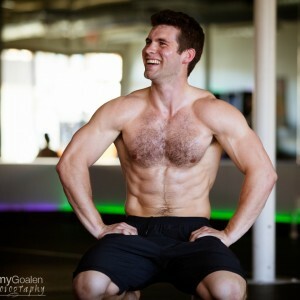 That success encouraged him to take his knowledge and passion to a larger audience, and in January of 2013, Dean founded Man Flow Yoga in order to bring the physical benefits of yoga to as many people as possible. Since then, Dean has been teaching at gyms, parks, workshops, international retreats, and online. Dean is a certified 200 HR Registered Yoga Teacher (RYT) through Yoga Alliance. I read this article and found it very interesting, thought it might be something for you. 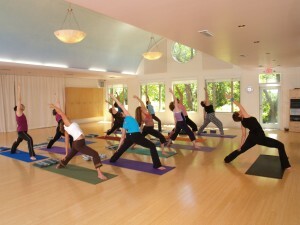 The article is called Six Best Places to do Yoga in Austin and is located at https://www.austincurrent.com/best-places-yoga/.